COLUMBIA, SC – Big changes are in the offering for downtown parking in Columbia if City Council adopts a consultant’s advice. Meter rates, especially at high-demand times in entertainment districts, might zoom to as much as $2 per hour from an average of 75 cents now. About half the city’s 4,300 meters are in the three districts: A six-block stretch of Main Street, the Vista and Five Points, parking director John Spade said. Parking tickets could cease being criminal violations. Motorists would appeal fines to Columbia administrators instead of city judges. Reserved spaces in city-owned garages would be limited to about 10 percent to 15 percent of individual garages. The city has 10 publicly owned garages downtown. Consultant Peter Flotz, of Lansing/Melbourne Group, told City Council this week that the city needs to have more turnover of metered spaces in the entertainment districts. City officials already have been talking about that. But he also said revenue growth must come from higher rates. “Anything you wring out (of the parking system) in the future is going to come from rate increases,” he said. Raising rates might not be such a bad thing, several residents said Wednesday. “What you want is more short-term parking … instead of squatting there for hours,” said attorney Freeman Belser, who works in the Bank of America building at Main and Richland streets. He thinks a rate increase would be a good thing and doubts it would produce much blow back. Brian Almond, who has lived in the Kress building on Main for two months, said he would support efforts to free metered spaces – even if it costs more. Any kind of fix would be welcomed by Almond, 23, who works in a state government building along Bull Street. He said he had so much trouble finding a space, even when he drove to his apartment for a quick stop, that he has purchased a reserved spot in the city’s newest garage. Flotz also recommended the city no longer needs to be tied financially to a public-private condominium garage it built in the Arsenal Hill neighborhood. And he said Columbia officials should find a way to pay for garages other than floating tax-exempt bonds. Council did not vote on the proposals at its Tuesday work session in which Flotz spoke. But none of the four council members present spoke against the consultant’s recommendations. City staffers are likely to present a slate of suggested changes to council late this year as part of a master parking plan, Spade said. Meter rate changes require two council votes and might take effect early next year if approved, he said. Main Street merchants along the six blocks between Laurel and Gervais streets are especially eager for greater shorter-term parking so that more customers have access to their stores and businesses. Their businesses have become flush with hundreds of students who moved to nearby apartment complexes within the past year. Flotz also recommended lowering meter rates to perhaps 50 cents per hour along streets that are a couple of blocks from high-demand spots in the districts, Spade said. The revenue from meters has hovered at between $2.1 million and $2.2 million for each of the past four years, according to figures in Flotz’s report. But fines have been declining from nearly $2.3 million in 2011 to just shy of $1.9 million this year, the figures show. Overall income to the city from its parking services has been climbing steadily since 2011, Flotz said. The revenue was $6.3 million five years ago. The most recent but unaudited figure for 2014-15 shows income of $7 million. 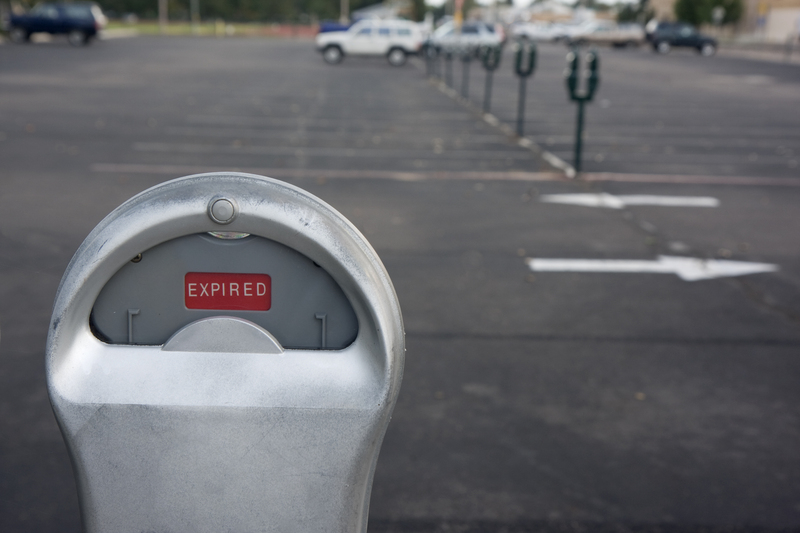 Cities across the Southeast are decriminalizing parking tickets, Spade said. But violators still can’t skip paying the fine, Flotz said. In Columbia, violators aren’t so bad about paying what they owe. On average, the city writes 150,000 parking tickets annually, Spade said. And all but 20 percent are paid within a month.